Romanesque Church under the patronage of the "Beheading of Saint John the Baptist, was built in the twelfth century, repaired in 1628, 1646, 1850 and today. Magnificent restored stained glass windows, tabernacle and wooden polychrome paintings from the seventeenth century. 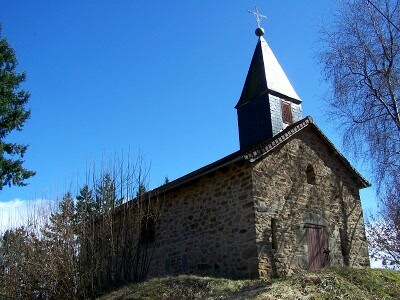 St. Roch Chapel dating from the seventeenth century. 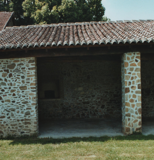 The chapel was built, according to researchers, in 1432, in honor of Saint Roch, a pious lady, who owned the place called "La Courrière" to the left of the Chapel. 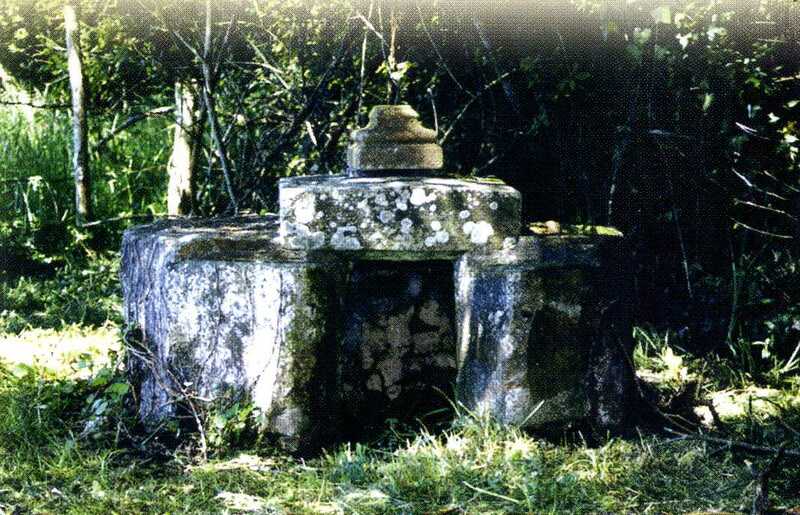 This rudimentary construction was originally built to carry out a wish. This person, well-known at that time had prayed for the intercession of Saint of livestock decimated by an infectious disease whose terrible effects were felt for miles around. 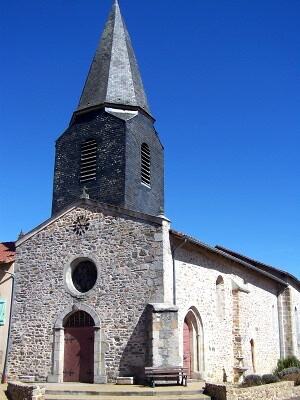 The Chapel was rebuilt several times. Adjustments have been made. Shortly before WW2 it was topped with a small steeple. The bell of the St Roch Chapel "Ann Catherine"
was baptized August 13, 1939 by Mr RASTOUIL bishop of Limoges. The children of the parish were the godparents. In the spirit of man, the fountains have represented something sacred "It is the gift of life that nature has given us". Without water, humans could not live. It is for this reason that civilisations and religions have always given to springs which arise mythically from the earth. Spring (place called "La Vergnolle"). 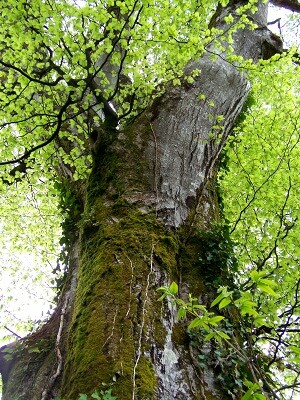 400 years-old, visible from the place called "la Forêt".